In this Inkjet printer from Epson, the professional B&W printing is facilitated with the help of the advanced black-and-white print mode. There is a wide range of media type supported in this Inkjet printer. These comprise of plain paper, photo paper, canvas, fine art paper, panoramic, roll paper, cut sheet, glossy photo paper, CD/DVD, etc. In total, there are 9 colors included in this printer to present excellent colorful output. With the use of the P600 printer, you can use it wireless according to your convenience. There is the facility of USB plugging, Ethernet and LAN cable (ethernet) connection. It supports wireless standard: IEEE 802.11n. You can easily see the letters displayed on the screen because of the 3.5″ screen size. There are no hassles to operate this printer in low light condition because it comes with a bright LCD screen display. According to your need, you can accomplish the borderless printing. In this printer, the color cartridge type is an individual color cartridge. High-quality output is provided with the help of the UltraChrome HD inks. There are total 8 Colour Ultrachrome HD Pigment inks to present professional quality color along with archival durability. It is possible to get the pro-quality prints on roll paper, canvas, art board, CD’s, and more. Supported connectivity is wireless, USB, and wired Ethernet networking standard. Whenever you require a printer for different needs like crafting and scrapbooking, this wireless printer from Canon is a perfect choice. This 12” X 12” printer is an all-in-one printer intended to meet all your crafting requirements. Printing your photos on certified Canon glossy square paper if possible. Now you can easily transform your Instagram photos into printed memories through the 5” x 5” square print from Canon. 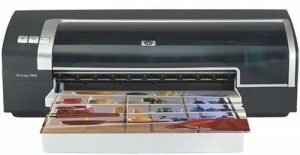 It is an extremely versatile printer unit since it supports 12” X 12” paper printing, oversized scanning, booklet layout copy, and Auto Document Feeder for multi-page documents. Therefore, for the majority of the printing needs, this printer is doable. According to your needs, you can create greeting cards to relish special moments and occasions. This is made possible through printing personalized, borderless 7” x 10” greeting cards. The implementation of the built-in printable patterns effortlessly prints amusing patterns from this printer. 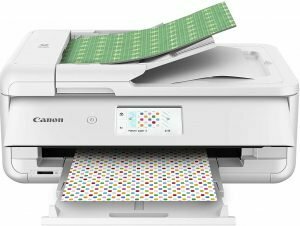 In the Canon PIXMA TS9521C printer, there are five individual inks which are used for day-to-day needs and craft projects. The ChromaLife100 protects your photos from fading. It comes with an intuitive control through the use of an easy-to-use user interface and an enormous3” LCD touchscreen. You can take out print from different devices like smartphone, PC, tablet or memory card. With the execution of the Air Print, Mopria Print Service, and the Wi-Fi, this printer is always ready to be used with most devices. It is possible to trigger voice-activated printing from your Amazon Alexa (20) device. There is the facility of the built-in SD Memory Card slot to make sure the printer easily access photos from your memory card. Its functioning allows your favorite apps and voice-activated devices function together through IFTTT (21). Occasionally, the need arises to use a compact color printer for different applications. In such cases, you can go for this DeskJet 9800 printer equipped with the feature-rich functionalities. It is possible to take prints of vibrant office documents as well as in-house marketing material. There are a few 12” X 12” printers packed with a duplexing unit. This unit can be found in this color printer from HP. Generally, there are no concerns to install this printer unit. Besides, it prints excellently on the thicker matt paper. On the surface, you would find two buttons, i.e., ON/OFF and paper feed. The wide format printer facilitates up to 4800-optimized dpi A3+ borderless printing. This printing tech is accompanied by the optional 6-ink photo-quality and the automatic two-sided printing. In this HP printer, the maximum resolution is up to 1,200 x 1,200 dpi and 4800-optimized dpi color. It comes with 5,000 pages per month duty cycle. There are no issues to print in different sizes ranging from index cards to 13-by-19-inch posters. If you need, you can get borderless printing. The inclusion of the parallel and USB ports makes this printer compatible with PC, Mac, UNIX, and Linux. 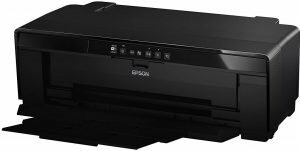 Creative printing is now possible with the use of this wireless color printer from Epson. This P400 printer is a 13″ wide-format unit equipped with the Ultra Chrome HG2 Ink for unparalleled print quality. In this 8-color pigment ink set, there is the availability of red and orange inks. These inks are dedicated to creating a vibrant, lifelike color. There are separate channels for both Matte and Photo Black inks to offer deep blacks on photo papers, fine art, and matte. With the use of the 8 pigment-based inks, archival durability is guaranteed. The P400 photo printer supports photographic, fine art and roll paper printing. Supported operating systems are Windows 10, 8.1, 8, and 7, Apple OS X 10.11.x, 10.10.x, 10.9.x, 10.8.x, 10.7.x5. Implementation of the Unique Gloss Optimizer chemistry presents a professional, smooth look to the photos. Presence of the high-capacity, individual 14 mL ink cartridges serves you with the freedom to print and substitute the color you want. The printer unit supports panorama prints up to 129″ long. Facility of the cut-sheet and roll paper support makes sure you can print your artwork over a wide range of media. It can support USB, wireless, and wired Ethernet networking standards. 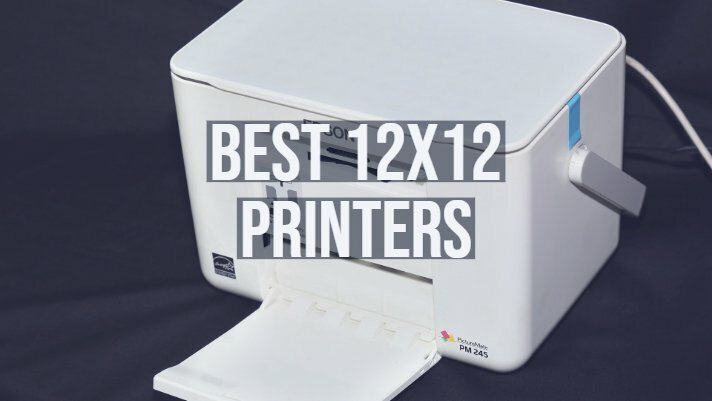 The best quality 12” X 12” printers are very useful to print documents, images, artworks and many more. These discussed printers are equipped with advanced techniques and easy-to-use functionalities to simplify the printing hassles.